Lateral release surgery is used to treat patella femoral syndrome and other tracking problems with the patella. It is performed as an arthroscopic procedure and the decision to have this surgery should come only after failed conservative rehabilitation. Lateral retinacular release is the last resort for treating patella femoral syndrome. You may have some relief after this surgery, but it may not completely eliminate your pain. Success of the procedure is highly dependent upon the rehab after surgery as well as the underlying problems before surgery. Read on to find out more about this procedure and if it is a good option to treat your knee pain. The most common reason for needing a lateral release is if you have lateral patellar tilt. This means that instead of sitting directly in the femoral groove, you patella is tilted laterally or towards the outside of your knee. With lateral tilt, the patella is not able to sit in the groove normally and so you end up with pain every time you bend your knee. 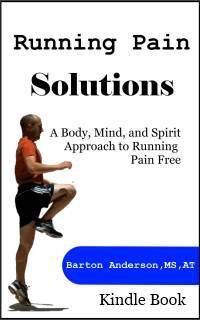 Running and jumping will increase your knee pain and you may have popping or clicking of the kneecap. Lateral tilt is caused by tightness of the lateral retinaculum, or the connective tissue that helps hold your patella in place. 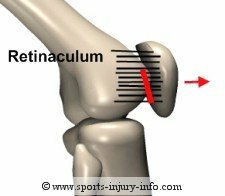 If the lateral retinaculum is too tight, your patella will tilt laterally and may cause problems. 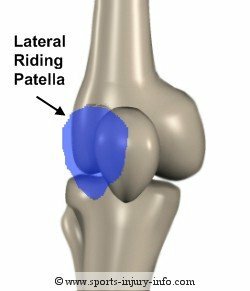 A lateral riding patella means that instead of sitting directly in the groove of the femur, your patella tends to move towards the outside of your knee. This happens when you contract your quads. Because the lateral retinaculum is tight, it pulls the patella out of the groove. You can also have a combination of both lateral tilt and lateral riding of the patella. This can cause increased stress on the patella, as well as pain and clicking. A lateral release is most effective in treating either lateral tilt or a lateral riding patella. If you have either of these problems you should have good results after your surgery. The lateral release begins with an arthroscopic evaluation. Your surgeon will make 2-3 small portal incisions in order to look inside the knee joint. They will evaluate all of the structures including the ligaments, meniscus, joint surfaces, and the retinaculum. Once they determine the best treatment, a release of the lateral retinaculum will be performed. They will cut through the lateral retinaculum in order to release the tension on the tissue. This will allow your patella to return to a normal position. Once the release is performed, they will close your incisions with sutures or staples. Most surgeons will also place a small pad with an elastic bandage on the outside of your knee to help keep the patella from returning to its lateral position. Full recovery from this knee surgery can take anywhere from 3-5 months. Most people will be able to return to normal activities in a few weeks, and then return to sports once their strength and balance are restored. You may be on crutches for a few days or one to two weeks depending on your pain levels and surgeons preference. Rehabilitation after a lateral release is essential for a full recovery. Because patella femoral problems are caused by many different factors, you need to go through a good rehab program to address any flexibility or strength issues. Lateral release is a good surgical option to treat patella femoral problems caused by lateral patellar tilt or a lateral riding patella. Rehab after the procedure is essential for a successful outcome. The decision to have this surgery is usually made after several weeks of conservative rehabilitation.